With our Mixpanel integration you can send your Qwilr Page view data straight to Mixpanel. Mixpanel is a powerful analytics tool and useful for understanding how clients interact with your Qwilr Pages. They offer both free and paid plans. Note: You'll need to be an admin user on a Business or Enterprise plan to do this. 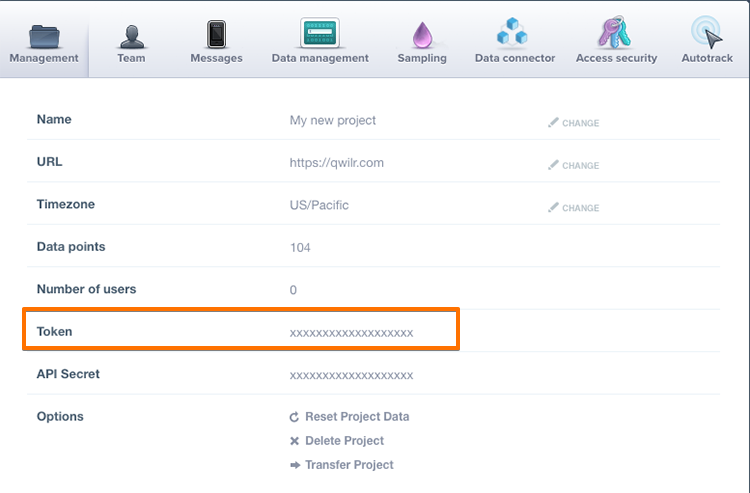 Step 1: Within your Qwilr account head to Account Settings → Integrations and click on Mixpanel. 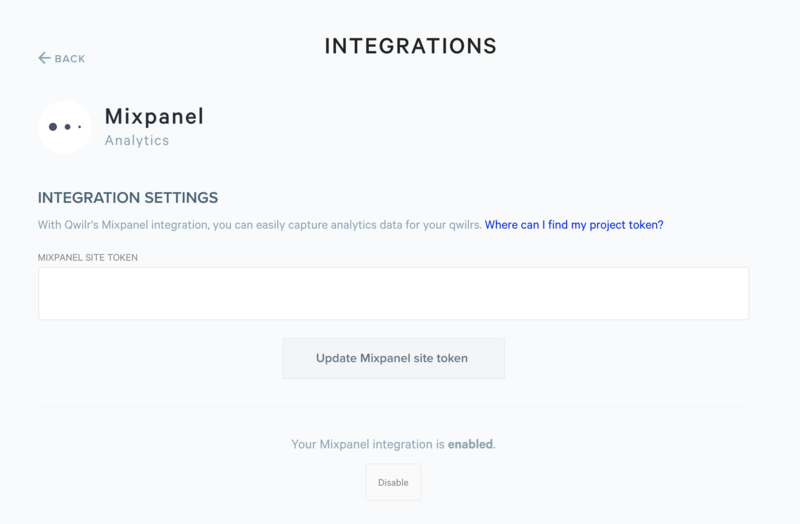 Step 4: Paste that into your integration settings and click on Update Mixpanel. Once you've enabled the integration, all Qwilr Page view data will be sent to your Mixpanel account automatically and you'll be able to track your Qwilr activity along with your other campaigns.